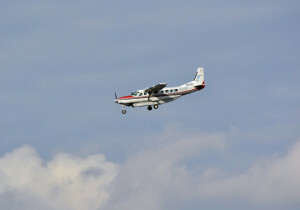 A pilot was seriously injured in an experimental plane crash at Brooksville-Tampa Bay Regional Airport Monday morning. The 63-year-old suffered severe harm when the plane crashed at 10:37 a.m. in a wooded area near the Brooksville-Tampa Bay Regional Airport. Officials said that when Hernando County Fire Rescue responded to the scene, they found the man standing near the burning wreckage. He was taken by air to Tampa General Hospital with serious injuries. Crews quickly extinguished the plane and wooded area without further incident. The Federal Aviation Authority has been contacted to further investigate the crash. After every plane crash, the National Transportation Safety Board will conduct a comprehensive investigation in order to identify the cause of the crash. Airplane accidents can be caused by many different things, but defective parts, failure to perform appropriate maintenance and pilot error are three of the most common causes of aviation accidents. Aviation accidents usually do not leave any survivors. People that do survive plane crashes are usually left with severe, catastrophic injuries. Our Hernando County Injury Lawyers at Whittel & Melton can help survivors and the families of those killed in aviation accidents figure out what steps to take next so that they can obtain financial compensation for losses. If you have been injured or have lost a loved one in an aviation accident, contact us today online or call our Spring Hill office at 352-666-2121 to schedule a free initial consultation to learn about your rights and options.